Opening ceremony of the 13th ASEAN University Games. The 13th ASEAN University Games opened at Hang Day Stadium in Ha Noi yesterday with an extended ceremony of artistic and athletic performances and glittering laser displays involving thousands of athletes, dancers and artists. Lasting until December 22, the event has lured over 1,400 athletes from nine Southeast Asian countries: Brunei, Cambodia, Indonesia, Laos, Malaysia, the Philippines, Singapore, Thailand and Viet Nam. In all there are 157 events in a dozen sports and games: swimming, track and field, football, pencak silat, taekwondo, karatedo, tennis, chess, badminton, basketball, table tennis and volleyball. The 248-strong Vietnamese squad is confident of coming third or better in the final medal tally. 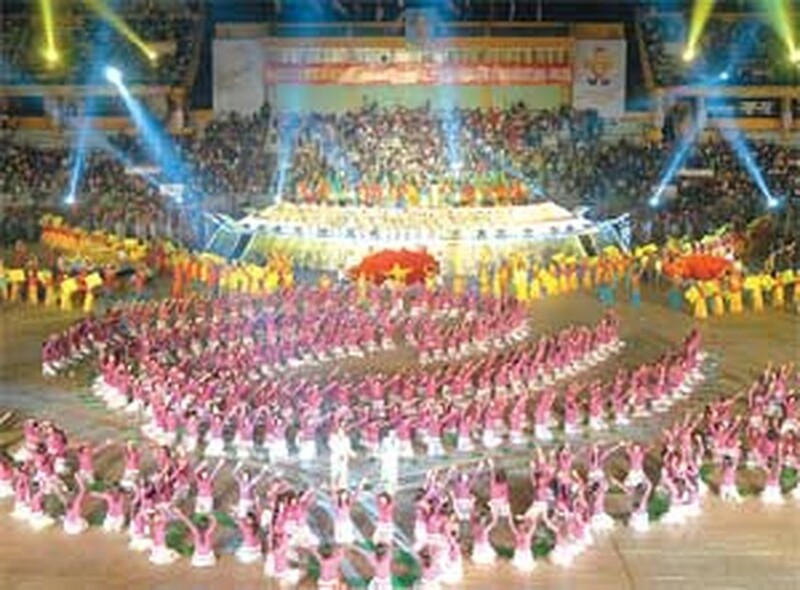 It’s the first time Viet Nam has hosted the biggest annual sports carnival for the region’s tertiary students. The country has already taken part in five ASEAN University Games and came fifth in the medal count at the last Games in Indonesia two years ago. This year the slogan for the event is "ASEAN Students: Cooperation, Creativity and Success".